The Last Tycoon DVD and Blu-ray release date was set for September 17, 2013. 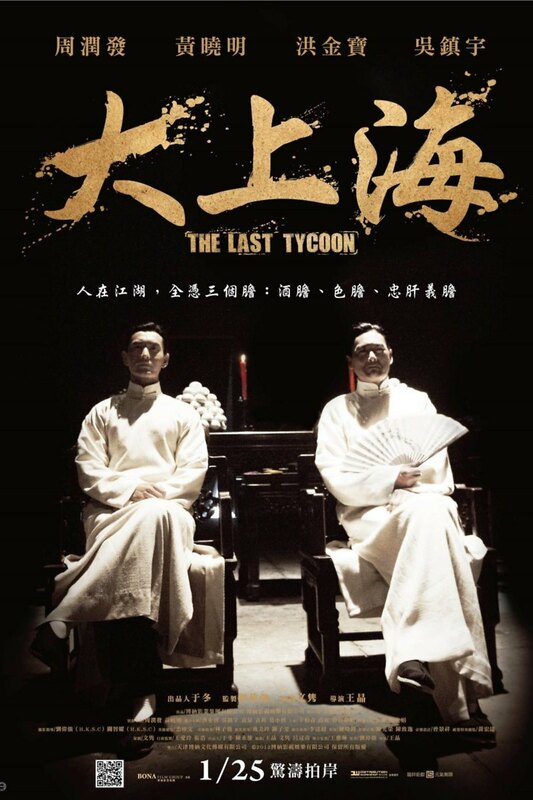 This crime drama focuses on the rise of Cheng Daqi from a lowly worker at a produce market fruit stall to become one of the most feared and powerful of the triad bosses in Shanghai's underworld. He always carries a torch for the love of his life, Ye Zhiqui, but by the time the two ill-fated lovers meet up again, she is married to someone else. But Cheng Daqi is facing bigger worries, with treachery on the part of the local secret service as well as Japan's plans to invade China.